It’s Maine days like these – 45° and rainy with a 4:25 PM sunset – that conjure up thoughts of warmer times and sunnier places, and no place in the country fits that description quite like southern California. 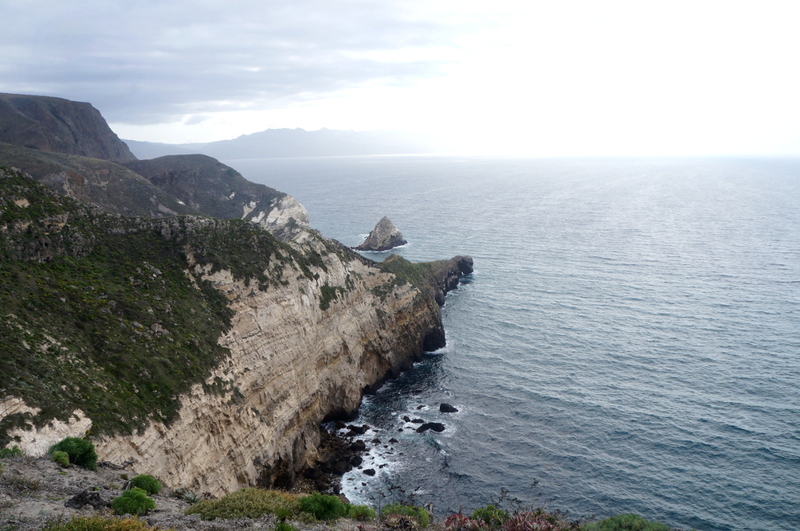 As a matter of fact, it’s currently 68° and sunny in Santa Barbara, so I hope you’ll understand my desire to reminisce on my most recent trip to the California, where I followed a very close approximation of our newest 2019 itinerary, Golden State Adventure (GSA)! After landing in LAX and picking up my sweet, red Mustang convertible beige Toyota Corolla (no offense intended by my sarcasm to any Corolla owners), I immediately set off to immerse myself in a Los Angeles hallmark: traffic. Fortunately, my bumper-to-bumper experience was both short-lived and also conveniently located on Route 1 overlooking the gorgeous California coast. Before I knew it I had made it to Santa Barbara and met up with my good friend from college, Bryce, who was eager to join me on my GSA scouting adventures. We spent the next few days exploring the nearby Los Padres National Forest, where our group of 12-14 year-olds will spend the first three nights of their nine-day adventure. 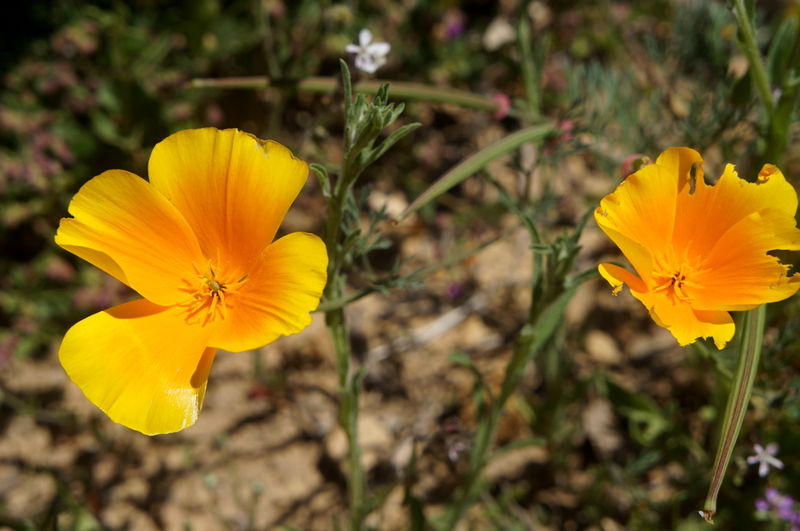 The epic, panoramic rock faces and hillsides dotted with gorgeous wildflowers stole the show, and it felt like we had miles of trails all to ourselves. In addition to the hiking essentials – water, snacks, sun protection, and whistles – we also brought along our trusty travel chess board (a personal hiking requirement). 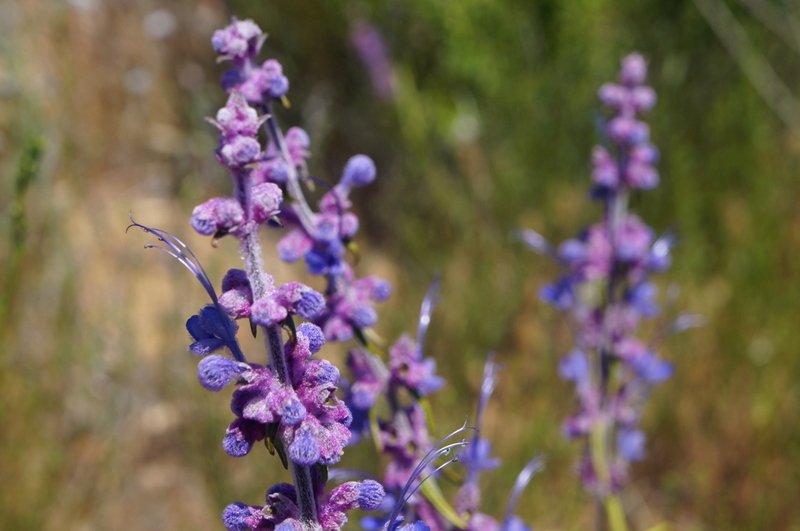 What struck me most about the hikes in Los Padres National Forest and the other foothills surrounding Santa Barbara was the diversity of environments. 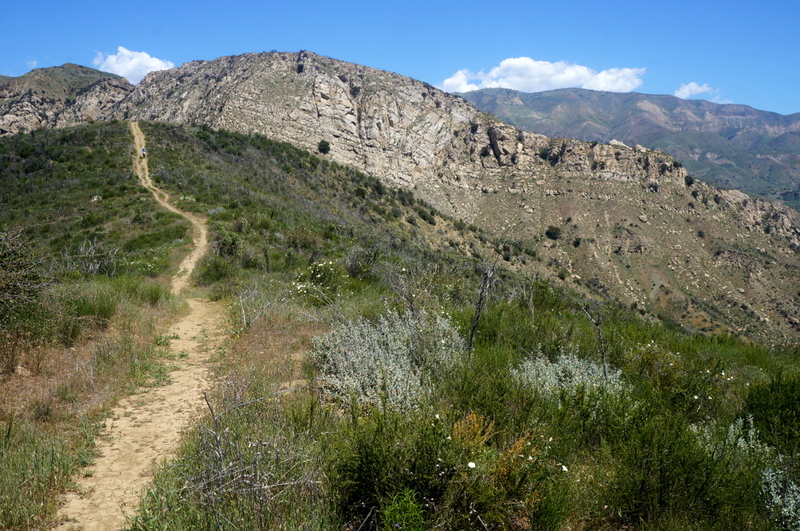 Over the course of a single hike we would start in a dense forest – winding along riverbeds and under Pinyon-Juniper tree cover – then climb up into the dry, desert-like terrain overlooking the Santa Lucia Mountain Range, and finish with endless ocean views. But first, a pit stop in Ventura, California, where I spent an evening with longtime Assistant Director, and generally one of the most wonderful people I know, Hannah Gensheimer and her recently-dubbed-“husband” Tim (I suppose it’s now Hannah Murphy!). After leading trips for four summers, Hannah worked as an Assistant Director with Apogee from 2013-2017 before taking a Talent Coordinator position at Patagonia’s corporate office in Ventura. We certainly miss her around Apogee, but are thrilled to see her enjoying life in California! 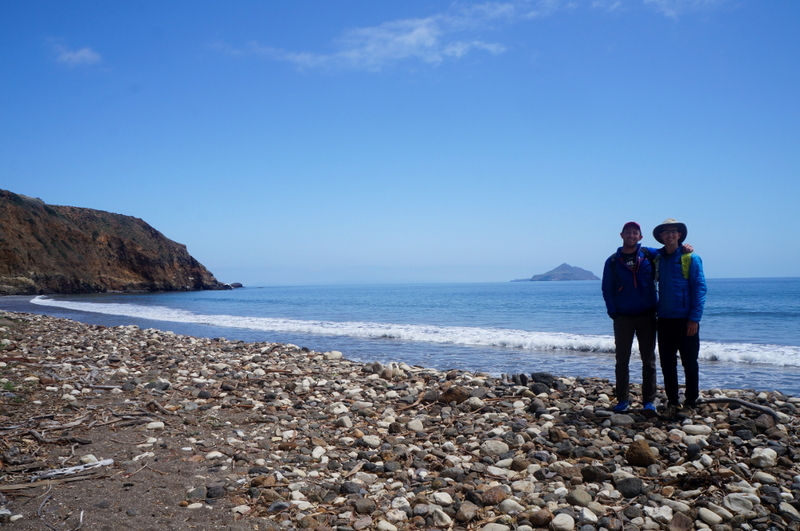 After bidding Hannah and Tim goodbye, Bryce and I set out to the Channel Islands National Park. Upon docking on Santa Cruz Island we met our kayaking guides, geared up and went through a thorough safety demo, then it was time to hit the water to explore the numerous coastal sea caves. 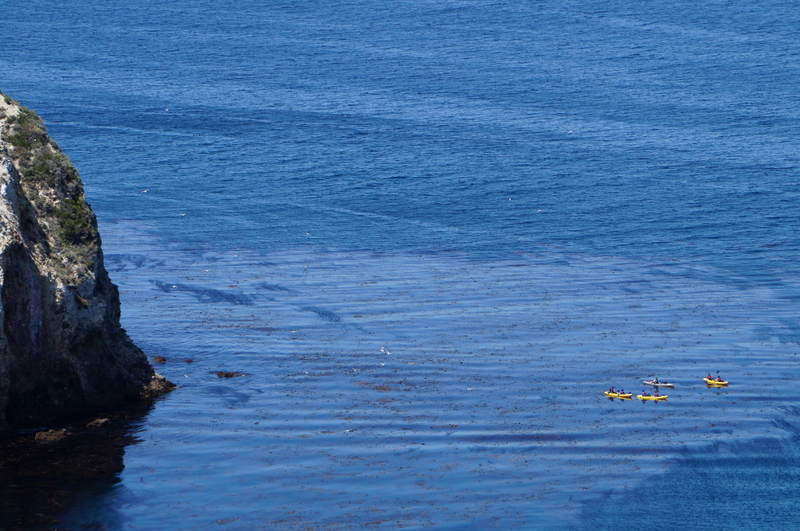 While dipping and dodging in and out of some amazing caves we were visited by pelicans, watched seals soak up the sun, and even learned about (and ate) some of the seaweed we were paddling through. We had an absolute blast and left feeling even more excited about exploring the island by foot! Over the next two days, we explored a few of the trailheads that left directly from our campsite. 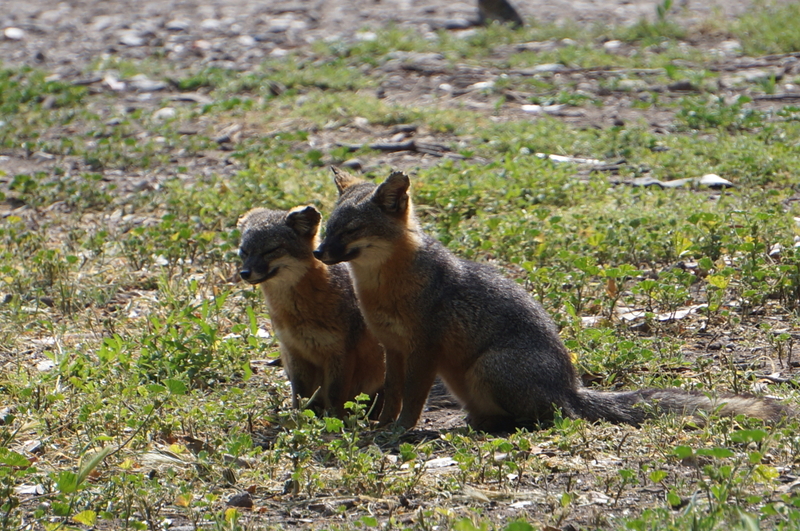 It wasn’t long before we started spotting one of the cutest and most unique creatures on the island: the Island Fox. The Island Fox is a smaller subspecies of fox found exclusively in the Channel Islands. Did I mention that they’re adorable? With no real predators on the island, we spotted dozens of them throughout our beautiful hikes, covering coastlines and beautiful beaches. Ignoring the fact that they’re wild animals and native to the Channel Islands – not to mention that I can’t have pets in my apartment – I would have really considered bringing one (or both) home. Once again, Bryce and I were reluctant to leave, but alas, we had ferry reservations (and only brought enough food for three days). 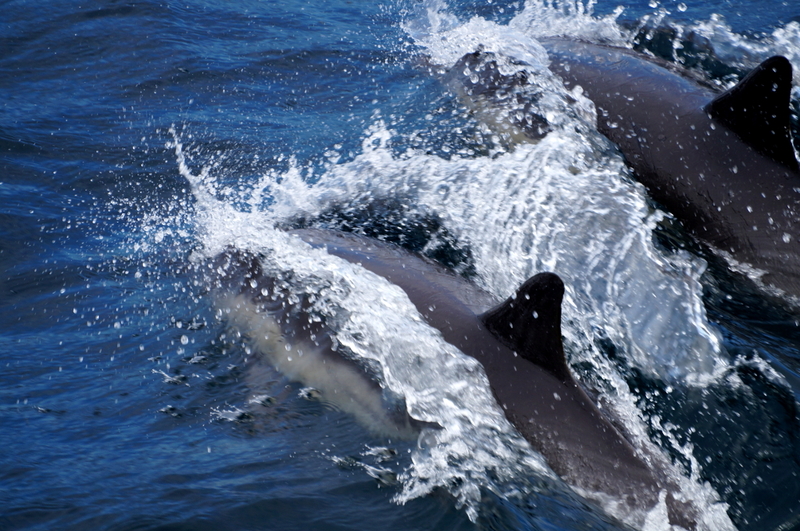 And as if the Channel Islands thought they hadn’t left a strong enough impression on us, on the ferry back to the mainland, we were tailed by schools of dolphins. Taking pictures of dolphins is hard! Heading south from Ventura, I stopped once again, this time to meet with Chris, the founder and owner of Malibu Surf Coach, who, as you might be able to guess, will be our instructor for our surfing lessons in Malibu. In addition to his extensive experience surfing and coaching surfing, Chris’ lessons take place on a private beach away from the crowds. Surfing is always a highlight of the Apogee trips that get the chance to ride some waves, and I imagine this will probably be the case for GSA as well! My last stop, as will be the case for our groups this summer, was to visit Santa Monica and the hostel where our groups will spend their final night together. The famous Santa Monica Pier is just a short walk away, and I can already envision our summer groups donning their fresh new Apogee t-shirts as they walk along the pier on their final night together. I found out firsthand that saying goodbye to the west coast is hard, especially when it includes a red-eye flight back east – but don’t worry, we won’t ask any of our students this summer to suffer the same fate. 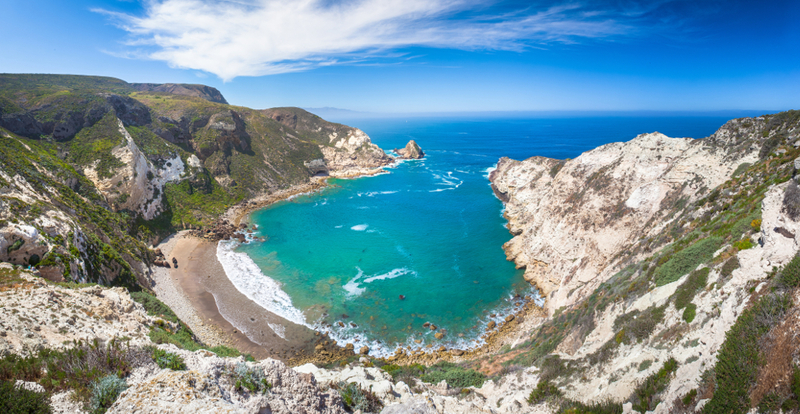 It’s always interesting to scout a trip after spending so much time researching and planning on the computer; and between hiking Los Padres, kayaking and exploring the Channel Islands, and visiting our surfing beach in Malibu, I somehow managed to underestimate just how beautiful this part of the country is. I can’t wait to see this trip come to fruition this summer – but for now, daydreaming about our Golden State Adventure will have to suffice on dreary days like this!